It's off to Brussels, Belgium this week and the show gets to recycle it's soundtrack from Marseilles. 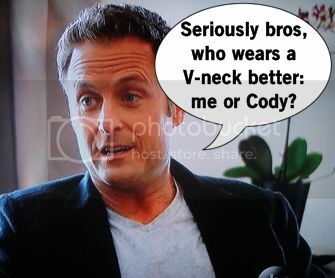 Chris Harrison greets the guys with a "Sup Boys?" in a high V-neck and blazer, probably to memorialize Cody. Chris comes with ominous news that the only date rose is on the group date and one-on-ones do not have roses. The first date card is left and Chris Harrison heads off for like a double decker bus tour or something. Marcus gets to "have a taste of Brussels" on the first one-on-one date, where surely he'll declare his love for Andi at least four times. The pair tour the town taking selfies and eating chocolate so it's like my life but international. Over a snack of mussels (mussels in Brussels - GET IT? ), Andi brings up how Marcus wanted to leave at one point - something that's giving her hesitation to open up. Marcus wanted to leave because he feels so much so fast and proclaims his love again. More food (and wine) is consumed over a romantic dinner at the Academy Palace, where Andi prods to learn about what a hometown date would be like with Marcus. The answer is dad-free, and a mom who will admit "she did the best she could." So yes, dinner is awkward for viewers. 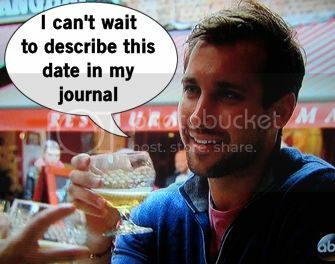 There's no rose on this date, but Andi leaves knowing she'd like to meet Marcus's family and also what it's like to makeout outside a palace. Marcus returns from his date and surprise, Nick is pissy about it! He decides to make a move on his own by leaving the hotel and sneaking to Andi's. He lies at the front desk that he's Andi's husband and gets a room key to get in, and by the way I am pretty sure this is a ridiculous violation of hotel protocol. This alone is proof that it's all staged. 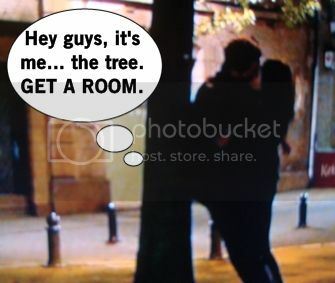 Andi is totally shocked by her surprise guest, who takes her on a stroll around Brussels where they talk, kiss at a cafe, and then really go to town making out on a skinny tree. Andi is digging it. A LOT. The next date is another one-on-one with Josh, which surprises the guys since Josh got a solo date more recently than others. Andi's hope for the date is that Josh will open up to her about his feelings more like the other guys have been. Hand-in-hand they walk around Ghent, eating a bunch of chocolate and stuff while doing tourist things like every other damn date this season. However no other date had a goose parade accompanied by a band, so that's something new. Dinner is casual dining inside a castle which could also double as a holding room at Medieval Times. Josh moans about how much he hates group dates and seeing Andi talk to other guys. Josh thinks their whole relationship is too good to be true given there's a vibe, they both live in Atlanta. Josh expects his hometown will be filled with lots of questions and says he is falling in love with Andi, which puts a big grin on her face. A haunting violin plays while they makeout against the shadowy castle wall, which turns into a private street concert by some random band while a bunch of Belgian people gawk at them. The group date guys meeting Andi at Les Ruines de Montaigle, and Nick is so relieved for the last possible group date of his life. Nick better be in high spirits because there's a rose at the end of the date and he's gotta beat Dylan Downer, secret admirer Chris, and Coach Brian. The group explore the ruins that remain of this castle, which is a great metaphor for a relation standing the test of time. Andi gets lazy and the guys have to pedal her on a bike attached to a train track. I'm having Fried Green Tomatoes flashbacks, guys. Then everyone has to put on their best behavior when they visit a monastery and that means no kissing Andi - she's free! During their alone time, Chris sneaks in a kiss while re-enacting the movie Ghost on a pottery wheel. Brian puts it all on the line and tells Andi he's falling in love with her. The guys are largely seething in their hatred for Nick and his overconfidence, hoping he's not the date rose recipient. But Andi is so DTF for Nick gives him the date rose, and now he's on the top of the world. The other three get sent back to the hotel while Andi and Nick continue to the night portion of the date. And the guys are piiiiiissed. Andi and Nick ditch the monastery and begin dinner with an exchange of spit, given they were denied the chance earlier. While he's had the first impression rose and this hometown rose, his favorite part of it all is falling in love with Andi. Andi swoons. Then they play a game of "This or That" to get to know each other and it's pretty cute and normal. I know Nick is a selfish child, but he seems genuine at times. 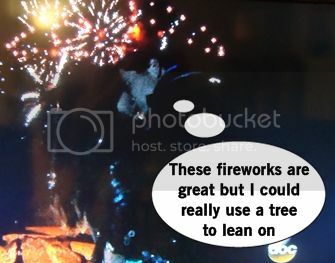 The fireworks soar for the couple and then they makeout a bunch more. Andi's even picturing Nick as the guy for her at the end. The guys are back at the hotel ripping into Nick - saying he's watched all the episodes and knows what to do, say, etc. They are even worried he'll stick around only to walk away and crush Andi. Everyone firmly believes Nick is playing games to make it to the end. Nick returns from his date to an uneasy silence in the room, maybe because dude's wearing a lady's scarf. Brian breaks the silence to call out Nick for the mind games he plays, and soon the other guys jump in. 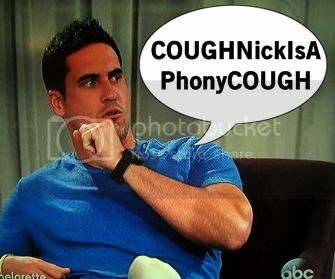 Nick's like "Yeah, I did watch every episode of Desiree's season" but he's in it for the girl. The guys don't know how Andi doesn't see it, but to them he's all about strategy. Nick assures them he's always thinking about his relationship with Andi. Everyone is nervous about the cocktail party and impending rose ceremony because this determines hometown dates. Andi's dress has so many oversized crystals on it, I'd assume it's from the Chico's Evening Wear line. The guys use their one-on-one time to be mushy, though the bottom guys wonder if they really could sway her opinion at this point. It's also valuable time to hype their boring hometowns. But eventhough he's safe, Nick HAS to interrupt to get Andi time. He wants to come clean about the guys hating him but he's truly excited to introduce her to his family. Chris had his alone time, but takes Andi aside one last time to give her a kiss before the rose ceremony since he failed to do so before. But Chris Harrison clinks the glass to begin the rose ceremony. Andi cuts Brian and Dylan as she wants to meet the families of a guy she can honestly see herself with. In good news, Dylan leaves with Andi not knowing he didn't wash his hands after using the bathroom. And Brian still has those coaching metaphors and a fear of pickles.